Dampwood termites are the more commonly seen and known termite (compared to the subterranean termite). Here you’ll find out more about the dampwood termite and its behavior, diet, habitats and the damage they can cause to your home. Having termites can be a scary thing, your first though is usually either “how much is this going to cost? !” or “How much damage have they done! ?” Catching the infestation before it gets too large is key. Whether you’re in the beginning stages of having termites or you have a full blown colony eating your home, we have your back and we’re here to help. The reason why they are called the dampwood termite is pretty straight forward, they use damp wood (sometimes decaying) to locate their colonies. Termites typically don’t nest in the ground, but they will take over a piece of old wood that’s on the ground. When in nature, dampwood termites are considered an economic pest, since they help the process of decaying trees. They aren’t so economic when they are tearing apart the damp wood in your crawl space. When it comes to reproduction, it only takes two ‘winged swarmers’ to start a colony, it only takes two to tango. They find a nice piece of wood with a view and make a chamber inside where they produce a few eggs in the first year. These colonies are normally small but can grow to be quite large if the conditions are just right. What’s The Worse They Can Do? Termites are always eating, 24 hours a day, 7 days a week they are munching and damaging wood and if that wood is around the structure of your home, it can lead to very expensive damages very quickly. The NPMA (National Pest Management Association) estimated that termites alone cause around $5 billion in property damages each year. Having your crawl space up to par with today’s standards is a huge help. Making sure that your crawl space is dry year round and when construction is done around the home, make sure all wood is picked up and not left behind to become the new home of some hungry termites. That’s okay, here at Bloom we offer free termite inspections. If you are worried you have a termite infestation, give us a call and take advantage of our same day/next day services. We will have a tech out to examine your property and come up with a solution. 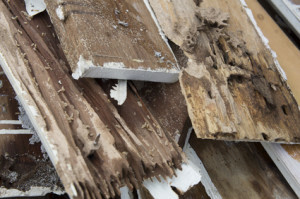 Protect Your Home From Damaged Caused By Termites. Contact Us Today! Our professional pest control technicians excel at ridding your home or business of any and all Termites. Give us a call or use the handy online form below to get started on the road to pet and family friendly Termite extermination.